Read and/or watch How the Grinch Stole Christmas by Dr. Seuss. 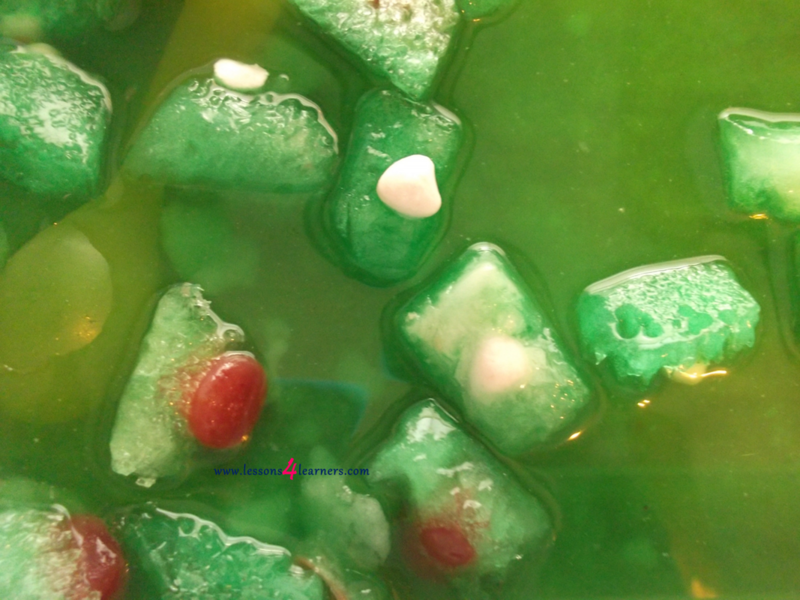 Place a red candy into 3 or 4 spots in the ice tray. 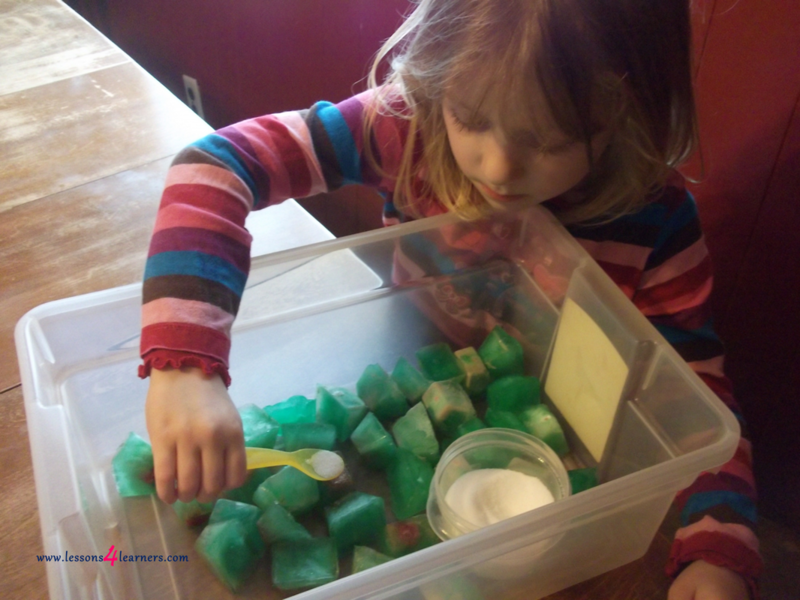 Mix green food coloring and water together. 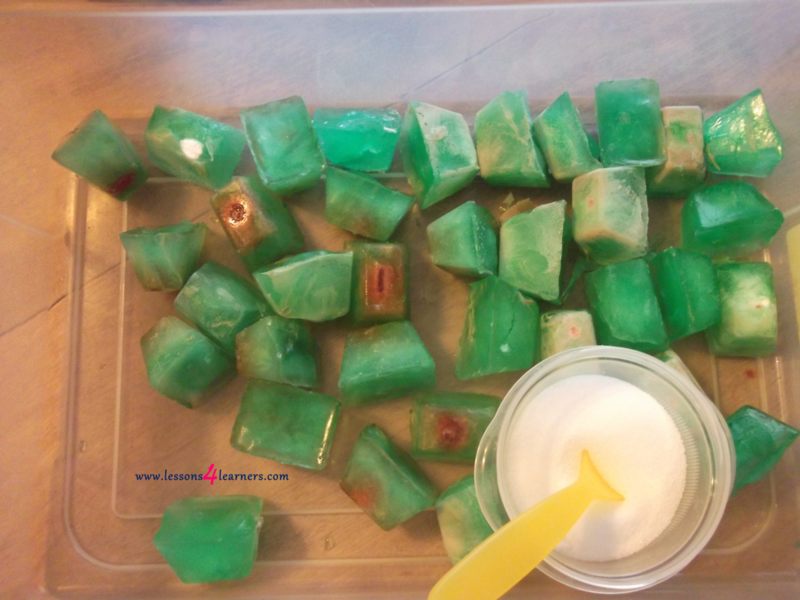 Pour mix into ice tray. 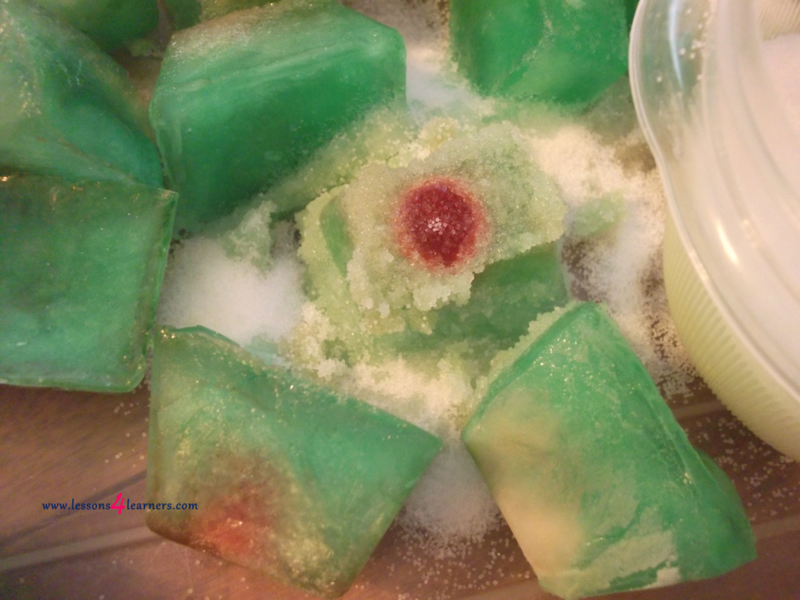 Place in freezer and remove when frozen. 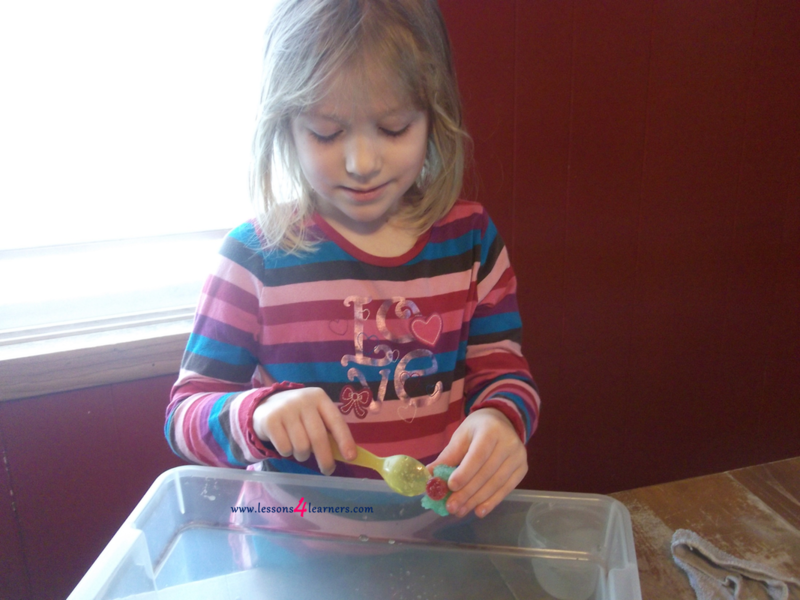 Place ice cubes into a plastic tub or sensory table. Tell the child to melt the ice with the salt to find The Grinch’s heart.